Blue Letter Bible Receives ECFA Accreditation! 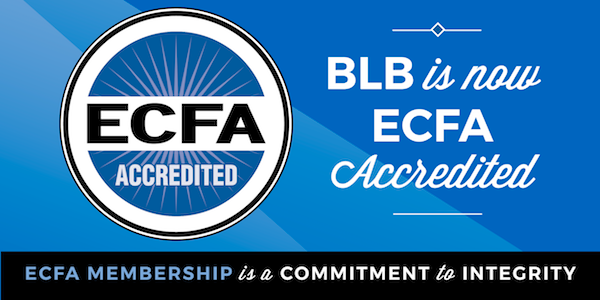 On March 8, Blue Letter Bible received its accreditation from ECFA (Evangelical Council for Financial Accountability). This is a major milestone for BLB in seeking to follow a model of biblical accountability and stewardship. ECFA, founded in 1979, provides accreditation to leading Christian nonprofit organizations that faithfully demonstrate compliance with the ECFA Standards pertaining to financial accountability, fundraising and board governance. For more information about ECFA, visit ECFA.org. To view important information for our donors, visit our Information for Donors page.